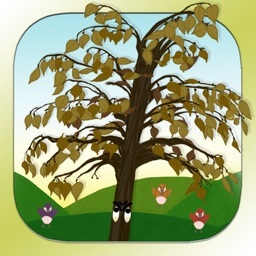 Easily identify any tree within Zimbabwe, more areas of Southern Africa coming soon. 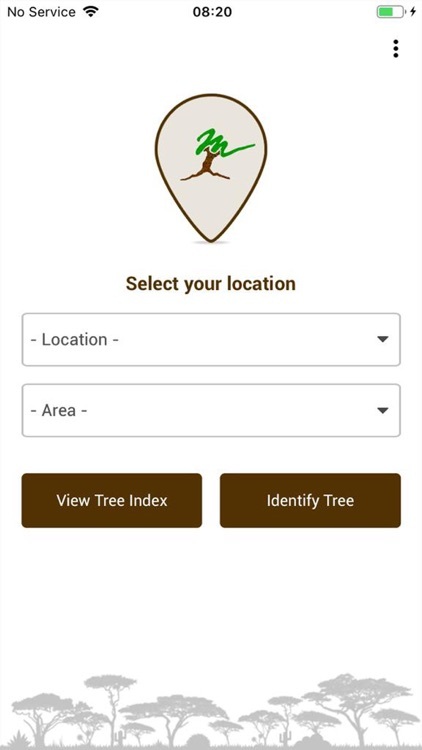 This is the definitive tree identification app in Southern Africa. 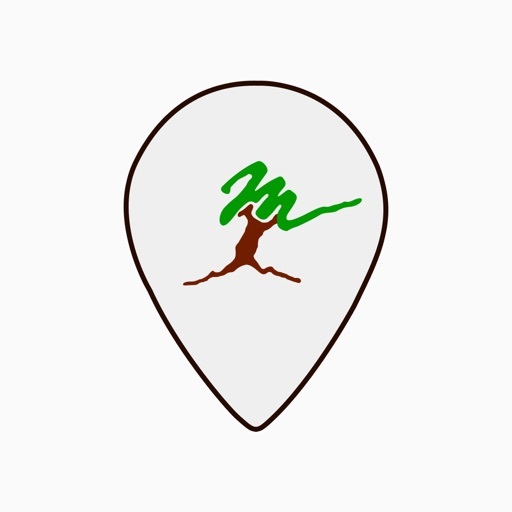 Using the latest technology- easily identify any tree with the help of our highly developed keys. 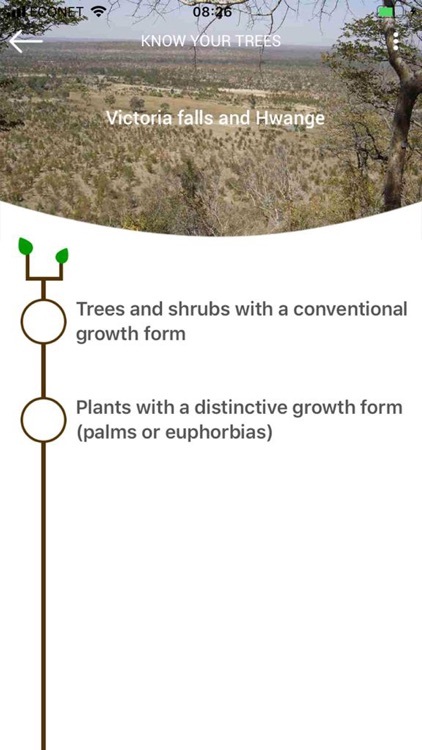 The new user-friendly 'Identify Tree' function (key), is clearly set out and easy to use, with links to the descriptions of the more challenging terms and characteristics references. 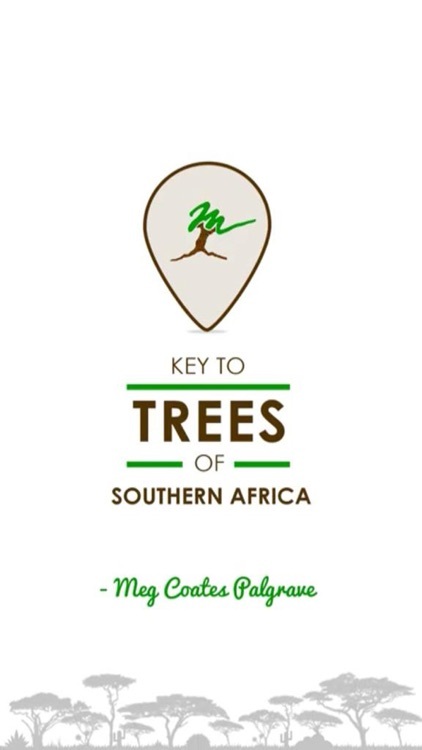 With an intimate knowledge of each tree species, Meg Coates Palgrave has dedicated her life to evolving and fine-tuning these area specific keys, as well as compiling the most in-depth tree descriptions and the largest database of tree identification photos in Southern Africa. 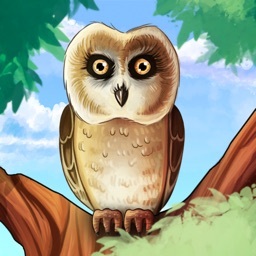 This interactive key and reference app is an essential field guide for any level of knowledge, from the budding nature lover to the advanced botanist. 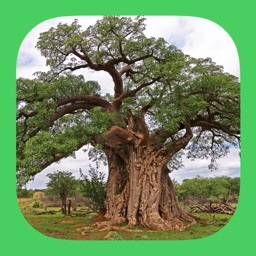 With the help of The Key to Trees of Southern Africa App expand your knowledge of the beautiful flora of Southern Africa. 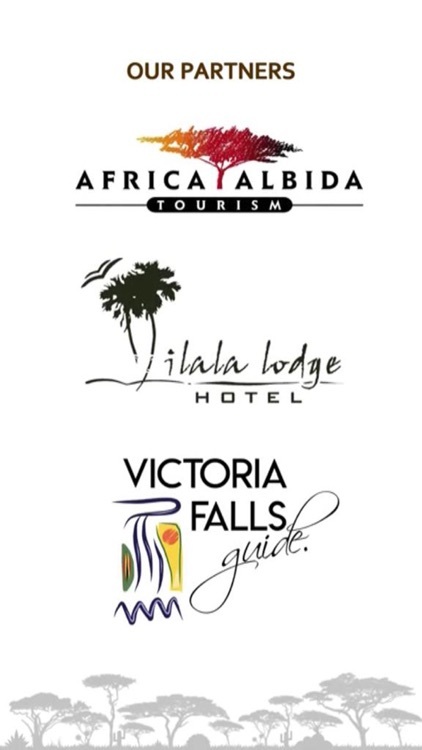 This App covers 6 essential areas within Zimbabwe. Covering Over 570 Zimbabwean Species, with over 3000 high resolution, full colour images, and the most comprehensive tree descriptions in Africa. 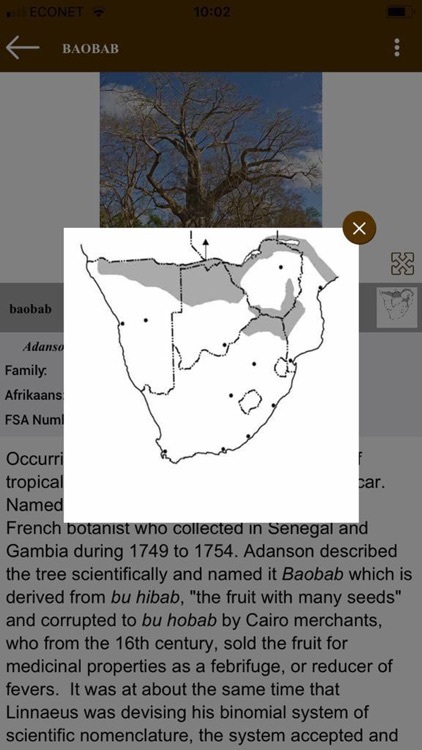 *Easy to use ‘Identify Tree’ option- Keys made famous by the Trees of Southern Africa books by Keith Coates Palgrave reviewed and made area specific by Meg Coates Palgrave. 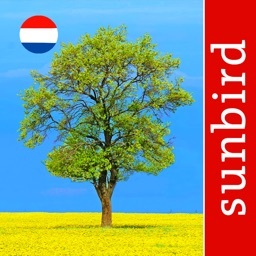 *Clear links to the glossary, for the more challenging terms used. 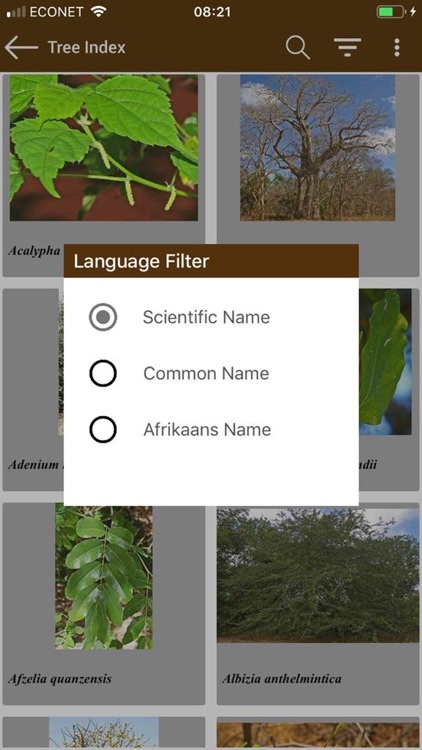 *Filter ‘Tree Index’ by Area as well as English, Afrikaans or Scientific names. 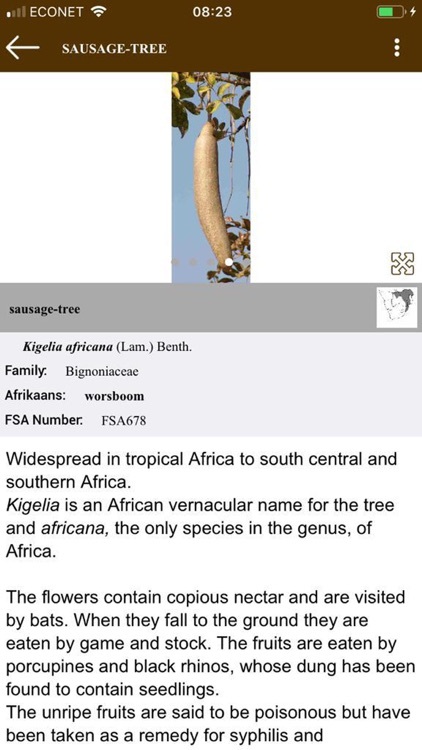 *Over 570 Zimbabwean Trees Species- each with images, distribution maps and full descriptions. 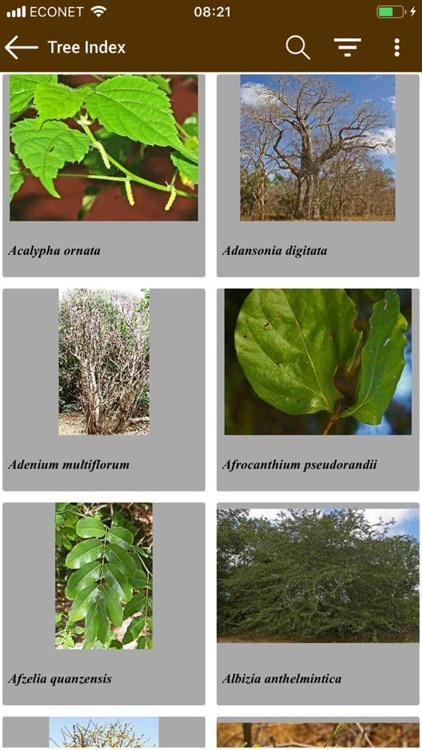 *Over 3000 high resolution images, detailing key characteristics of each tree. 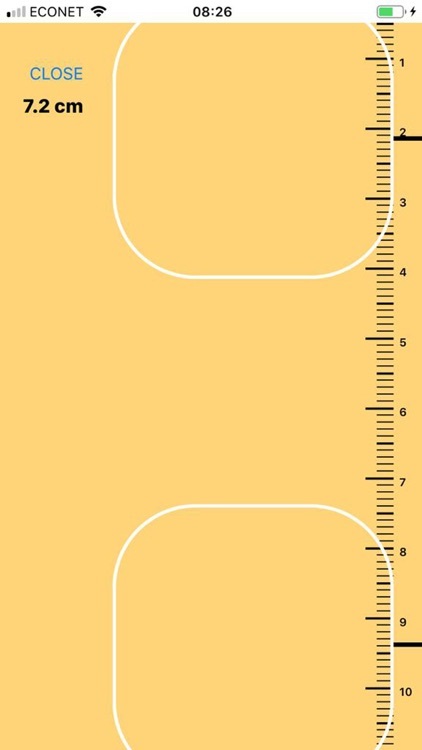 *On Screen Ruler Function- used to roughly measure leaves. *Search tree names by their English, Afrikaans or Scientific names. 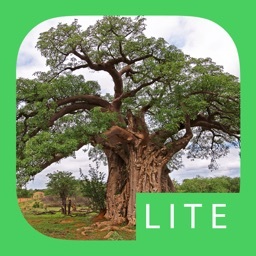 If you are interested in the amazing flora of Zimbabwe- this app is for you.